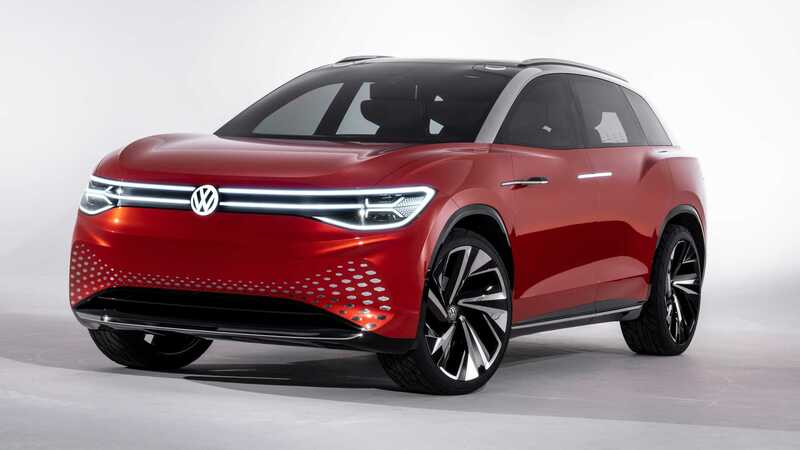 Volkswagen AG has attended the Brand SUV Night with its latest concept SUV called the ID. Roomzz. The vehicle should eventually hit mass production in 2021 and become available in China before other countries. The full-size crossover/SUV is 4,930 millimeters (16.2 ft.) long, 1,903 mm (6.25 ft.) wide and 1,675 mm (5.5 ft.) tall with 2,965 mm (9.73 ft.) between the axles. Powering the car is a duo of electric engines rated at 306 hp (228 kW). Only the rear-axle engine is active most of the time, but the front-axle one activates automatically whenever the car slips or skids. You may also force enable it for an added bit of acceleration power. The vehicle needs 6.6 seconds to get from standstill to 100 km/h (62 mph) and maxes out at 180 km/h (112 mph). Once fully charged, it offers 450 kilometers (280 miles) of WLTP range. The concept car has four sliding doors. When boarding, the four individual seats inside automatically rotate 20 degrees outward for convenience, and return to their normal positions once the doors are closed. There is no conventional dashboard inside. Instead, there is a high-tech glass-pane display that acts as the HUD, the steering wheel and the infotainment screen. The Volkswagen ID. Roomzz features seats with three adjustment options and also comes with a LED stripe right under the windshield that displays the status of on-board systems, climate control, and electronic driver aids. The show car boasts an expensive oaken floor lining, a climate control system that can assess and improve air quality, and a patented imitation leather upholstery called AppleSkin, which has around 20 percent of its polyurethane replaced with an organic material processed from apples.